For the next five years Sansonetti focused on his business and continued to train, always pushing himself and seeking out new challenges. He had already won two Thai Boxing bouts years before and at 28, he realized he “was getting up there and wanted to give MMA a try.” This idea was not met with enthusiasm by his supporters. His BJJ instructor told him to wait until he got a purple belt, while another instructor said he was too old. He was determined to fight and sought out other avenues, and through the website, The Underground, he contacted Matt Lindland of Team Quest. Team Quest was known for training great fighters like Randy Couture and Dan Henderson. 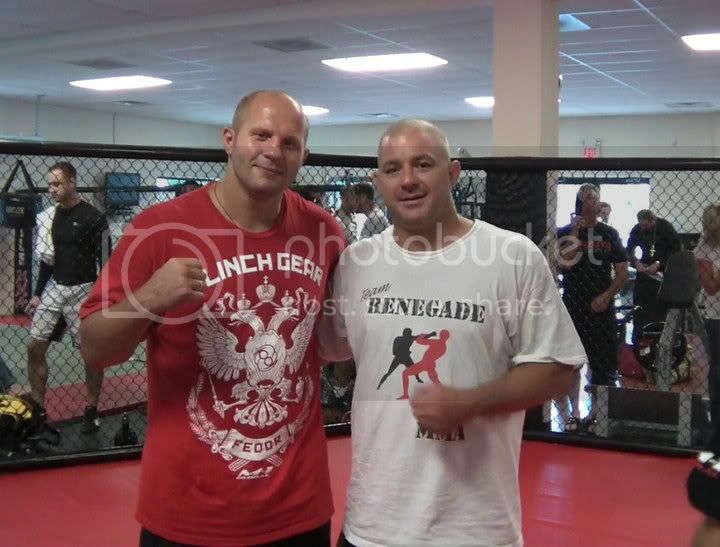 Just three weeks prior to Randy Couture’s big fight with Tito Ortiz, Sansonetti spent a week in Oregon training with Lindland, Robert Follis, Couture and their team. T his was a “true MMA school” and he says, “there were over one hundred guys training, grappling, kickboxing.” Sansonetti knew that this was the future. At Team Quest Sansonetti learned more than just grappling, submissions, and take down defense. He “learned how to formulate the training, how to coach, and a belief system in training.” He realized the importance of cross training and upon returning home, heeding the advice of Follis, he surrounded himself with as many different training partners as he could find. Sansonetti did get his MMA fights, and was 1-1, but more importantly he discovered “who I wanted to work with and who I didn‘t want to.” In 2004, again through The Underground, he found Steve Koepfer, AKA Sambo Steve. The next and most successful chapter in Sansonetti’s martial arts career, Sambo, began. Sambo, made most famous by Fedor Emelianenko, comes from Judo and is derived from the former Soviet Republic. Its style is similar to BJJ, but Sansonetti believes, “BJJ may own the guard, but Sambo owns the leg locks.” He commuted to Sambo Steve’s school in NYC, NY Combat Sambo, to train and would eventually begin to teach what he was learning to Tiger Martial Art’s competition team, Team Renegade. Team Renegade is for those who are interested in competing, whether it be in grappling tournaments or MMA fights. Of course for those who are interested in training for health and fitness, Tiger Martial Arts offers no gi submission grappling, kickboxing, MMA, Sambo, a women’s kickboxing class, as well as a children’s class. However, Sansonetti explains, “if they come to competition team training they are required to compete, or train with the understanding that they will do it when they are ready and not necessarily MMA.” On July 30,th eight members of Team Renegade will be competing in the New York Summer Jiu Jitsu Classic in St. James. Syers knows that he can beat anyone if he trains hard enough. “If I train harder than him I know I’m going to beat him.” However, more importantly than the physical training Syers believes it is the mental toughness that you need as a fighter. He says, “I could easily hit a bag for three hours nice and light and say I did three hours of training.” Syers obviously has more than enough determination and the heart but thanks Sansonetti for helping him with the mental training before fights. Sansonetti “ made sure I was mentally prepared more than anything to go in there and fight.” He will defend his Evolution Light Weight title on August 27,th against Caleb Solano, a teammate of Ascolillo, the victim of his brutal KO. But Syers is not looking past his fight this coming Saturday, “it feels like it is my last fight, but my long term goal is to turn pro.” Syers boldly states, “I want to go in the best fighter they have ever seen.” With training partners like Taylor Costantino, the rest of Team Renegade, and especially with Sansonetti as his coach, his goal is more and more attainable every day. And they are “his guys.” Anthony Sansonetti is the trainer, coach, and nutritionist for his team. He has taken his thirty years of extensive martial arts training, and he has wholehearted put this experience and knowledge into his school and his teachings. But Team Renegade seems more like a family, with Sansonetti playing the role of brother, father, friend, and sometimes, even hair style advisor.